Oh no! 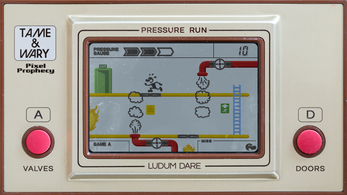 The factory caught on fire and it's your duty to help the workers reach the exit. But steam pipes and floor gaps threaten them on their way to safety, be sure to disarm those obstacles before the worker reaches the hazard. But beware: Holding a door platform or valve closed for too long will deplete your energy. How many workers will you get to safety? This is a game made in 48hrs for the Ludum Dare #34 Compo adhering to the theme of "Two-button controls". 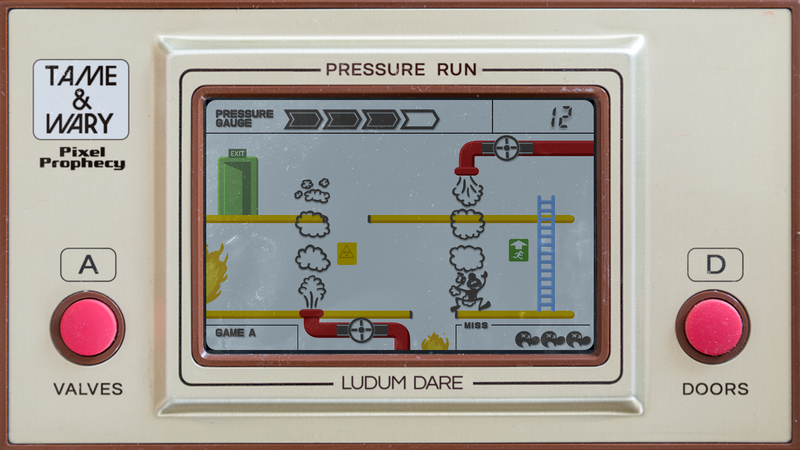 After some fussing about I recalled how well those good old Game & Watch handhelds from 30 years ago played with just two buttons. I always wanted to make one of those things anyway, so I took the chance to make it a reality this weekend. A and D. Hit either to start the game. 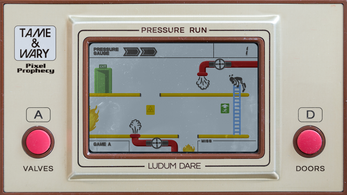 This game is so cool (and not even easy to play). 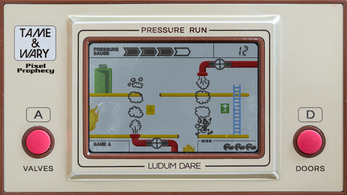 It makes so much fun and reminds me on earlier days, when I was sitting hours playing LCD games.